It was the red 1963.5 Falcon Futura coupe that caught my eye, thinking it might be a Sprint (it’s not). But as I walked past this 1965 Ford pickup blocking my shots, I realized that I’d come across something quite a bit rarer than even a Sprint 260. As it turns out, way too rare. This presents itself as a 1965 F-250 Ranger, a special interior package available only in 1965 and 1966 that included bucket seats from the Mustang, and a console too. I did a brief post on the Ranger package a while back, but didn’t expect to find one. But as soon as I saw it was an F-250, my suspicions were at least aroused a bit, as one just wouldn’t likely expect that many Ranger packages were ordered with the bucking-bronco ride these trucks inevitably have unless they’ve got at least a half ton or so in the back to calm down their gnarly springs. And when I tumbled to the fact that this was a short-bed Sweptline truck, I really began to have my doubts. I was 99% certain that the F-250 wasn’t even available in the shorter wheelbase versions. Hmmm.. The cab interior certainly looked like a genuine Ranger, but then it doesn’t take much to cobble one up from a junkyard. The seats are from a Mustang, and the console from a Falcon Sprint or Comet S-22. When I got home, I confirmed that the F-250 was a long-wheelbase only affair. And the tip-off is obvious, if you go back a picture: there’s another ’63 Falcon sedan with its rear end in the air minus its rear axle. And there’s also the fact that I’ve seen a number of special-interest Fords in this lot. Axle changing is practiced here. Someone has done a bit of mix-and-match, swapping in the full-floating eight-bolt pattern rear axle and front hubs from an F-250 donor. And given that, I’d be willing to bet the Ranger interior isn’t original either. Ford’s Ranger wasn’t the first pickup with bucket seats. Not surprisingly, it was Dodge that led the way, with its 1964 Sweptline Palamino Custom Sports Special, which even sported racing stripes along with the bucket seat from a Dart GT. Under the hood was a slant six, 318 polysphere V8, or either a 413 (early versions) or 426 wedge RB V8, with 360 or 365 hp. Good luck finding one of those. Why? Just because you can isn’t always a justification. I’m sure he would posit, why not? Reasonably so, I guess, but no one under 50 would even question what they were seeing. Speaking of Dodges, remember when they discontinued the ClubCab for lack of sales? It’s a whole new world. I always liked to think of myself as Brain, but the uncomfortable truth is I’m more like Pinky these days. Regardless of the trickery, the owner clearly built something that appeals to him… and me. I love this truck. It looks smart, compact and easy to load compared to a modern truck. Dare I say, useful? I wonder just how “unoriginal” this thing really is. The Ranger badge-hen’s teeth, unless Greg Donahue or somebody repops them. If it’s a clone, it’s a well done one. It may have been a Ranger, but not an F-250, since the the F-250 wasn’t built on the short wheelbase. If that’s the case, then the fender badge isn’t original. And I don’t think the Ranger had different door panels; aren’t those the same as the Custom Cab ones? Anyway you slice it, something is not original on this truck. My guess is it’s several things. Yes, I’m thinking it started life as a half-ton short-box Ranger, and the rear axle and emblems are the non-original pieces. 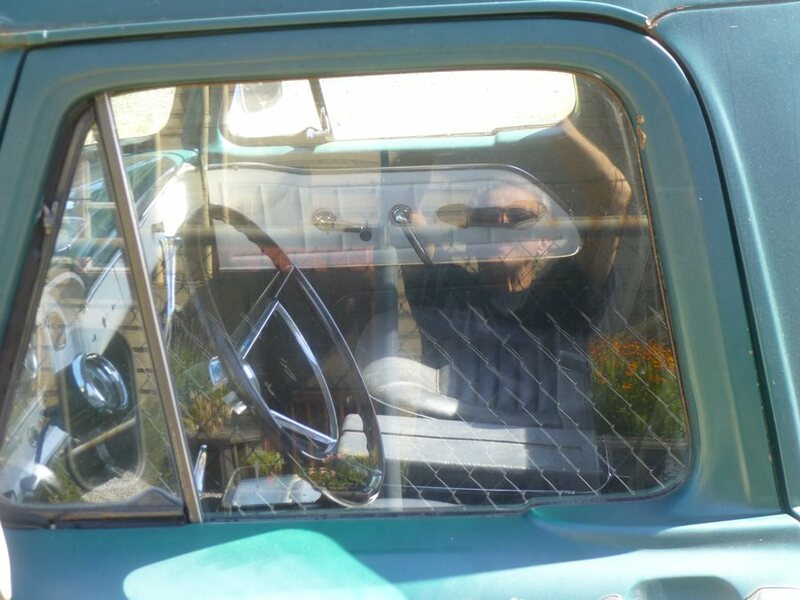 Just as a heads up… the bucket seats were a factory option in 1965 as was the console. My experience is that it’s super rare to find a truck where they’re factory original – they just weren’t a popular option. Still, an option they were so the question would be if this truck came from the factory (or at least a dealer) with them installed. The Ranger option? Definitely an option and realistic. Those rims are definitely not stock as far as I remember and they look aftermarket. Could this truck truly be a short bed F-250? I say it’s possible… but it’ll show up on the VIN plate and the VIN stamping on the frame had better match. Some will poo-poo my saying this but I say to shut it. Ford was notorious for doing all sorts of odd things back in the 1960s and often in the 1970s too. One thing that people tend to forget is that back then in that era, you could special order non-stock items on Ford vehicles and as long as you paid for them, you got them – within reason of course. Example? Non-stock paint colors were big… including a color from another Ford vehicle just because someone liked that color better than those stock colors that were supposed to be available. The bottom line for paint however was that if you could get a Ditzler paint number then Ford would mix up and use that paint if you paid for it. From my experience it wasn’t common on trucks that weren’t fleet vehicles but I’ve seen plenty of special paint codes on passenger cars such as the Mustang, Thunderbird, Falcon, Torino and Fairlanes. Another easy example are rims or hubcaps. I’ve seen so many factory build sheets on Mustangs with Ford supplied but not stock (for a Mustang) hubcaps or rims installed on a Mustang I could choke on them. What else? For trucks, it’s well documented that in the 1970s Ford often installed a 390 into a truck that was supposed to have a 360 due to supply issues. What usually was the case was that nobody knew it for quite a while after the fact which actually cracks me up. Imagine taking apart your supposed 360 to rebuild it and finding out your engine has the crank, rods and pistons for a 390. Surprise, surprise, surprise. You realize your engine isn’t a 360… it’s a 390. You know it’s original because you got it from your father and the engine was never swapped out. You check out all the parts, mic the bores… the whole enchilada. Boom – 390. You wouldn’t be the first nor likely will you be the last to ever go through this experience. Other engines that were slipped into place when supplies ran out? A 390 in place of a 352. A 410 in place of a 352 or 390. A 460 in place of a 429. A 289 in place of a 302 in a mid-sized Ford when they made the switch to the 302… but ran short of the 302. Ford history is littered with bona fide examples of this sort of thing occurring… and it wasn’t just Ford that did it. Chevrolet did the same sorts of things – especially with engines. So what about the front suspension and 3/4 ton axle and the bed length deal? 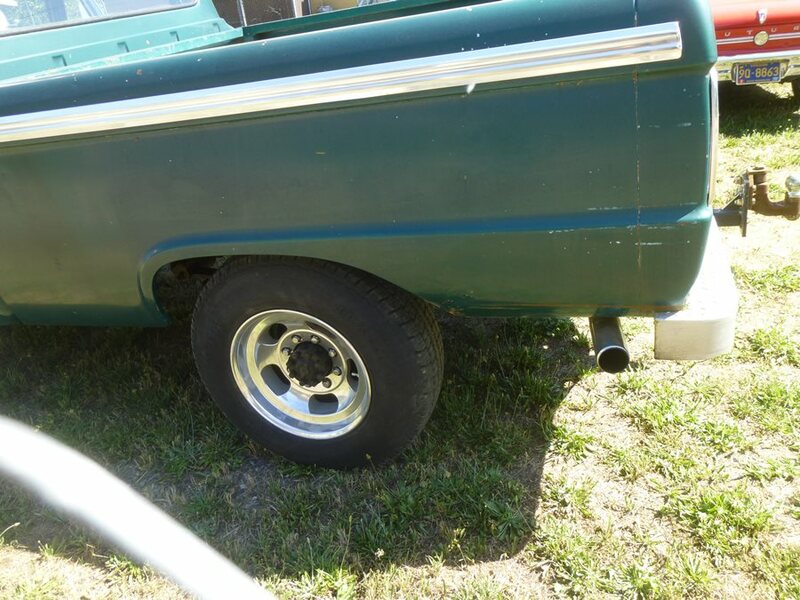 The suspension and axle should be a bolt on for the F-100 frame (though I suspect some of the parts would have to have been selected to make it work) and that bed would be normal on an F-100. For the driveshaft, all it should take is the correct U-joint at the axle end. Putting this type of truck together on an assembly line probably wouldn’t have taken too much effort and it isn’t like the factory wouldn’t have had tons of parts in bins all over the place to get the job done. As I see it, it’s possible that this truck was a special order vehicle but the VIN plate (if legitimate) should reflect it. If there is an original factory build sheet then that would remove all doubt. The easiest thing to do to set the record straight would be to check the VIN plate and match it up against the stamping on the frame. If the VIN decodes to an F-250 while all else appears normal and the number on the frame matches then it’s likely the truck is legitimate. 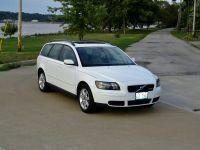 While not likely to be there, the VIN may also be stamped onto the block and even the transmission case so they may help with verification if found. Of course the overall speculation that this truck was put together by a private party from spare parts is also entirely possible… because it’s what they wanted. I know lots of guys that did that with their trucks too. However, for us to know about this truck… someone will actually have to get permission to check and then do so before reporting back. 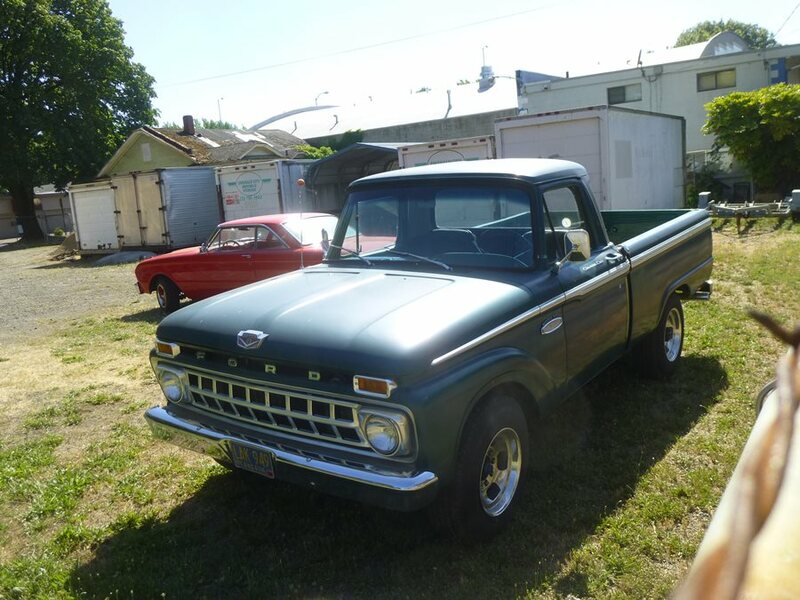 A conversation with the owner confirmed that it was a mash-up: a short bed F100 with F250 rear axle and front hubs, and the interior parts added to make it look like a Ranger. He has a stash of old Ford trucks, and this is a composite of some of the junkers. Thanks for stating the facts and clearing the mystery. I stopped in on a small 4th of July car show around the town square of a small Indiana town. There were maybe 30 cars there, but only about 6 or 7 of them had not been messed with in some way or other. People do not seem content anymore with having a unique old car. Everyone seems to feel the need to personalize it somehow, either mildly (custom wheels or paint jobs) or wild (SBC/THM transplants). This guy at least seems to be sticking to a Ford script, of sorts. Like you, I would like the truck better if it were just left alone. As an aside, I never really liked the looks of the Styleside short bed. I always thought that the Stylesides looked best with long beds, while the Flairsides (with external fenders) looked right as short beds. People have been personalizing their cars as long as there have been cars. The Ford pickups of this era are really good looking. The Dodge looks like something from the fifties, although it has a quirky appeal of it’s own. I found a pristine 72 Ranger in red recently it looked all the way like the 68 F100 though I didnt really look inside, not something ever sold here new and not one Ive seen in Aussie where F series were assembled. This one is very cool with the Mustang options and even thev same cab as your old yella. Did you see any “camper special” insignia? I think Ford offered a Ranger Camper Special which could have been a short bed, plus HD rear axle. I’m pretty sure you could get the Ranger trim with the Camper Special but you only would have got badges showing one or the other as they both fit in the Series badges. See below for the Camper Special insert as well as the twin I beam insert that was used on base trucks. Id leave that looking just as it doesbut….. I would ad a cummins twelve valve and a manual box. then Id add a strong class 5 hitch and find a early to mid sixties camper and modernize it and paint it that same green and then Id go camping. But you’d be stuck with what is most likely the light duty F100 frame. You can strap all the heavy duty stuff you want to it but the actual capacity is still determined by the least component which would be the frame in this case. Ya know…I’d have to say, odds are it’s original. Why? Because…there’d be no profit in doing such a detail-oriented retrofit. This isn’t a 4-4-2 or GTO rebadge we’re talking about. Few people cared about the Ranger trim level in the day; and fewer now. If someone bought an F250 and wanted bucket seats, he’d have just put them in. Back in that era, if you knew the dealer and the dealer was willing to work with the factory…just about any combination could be ordered. This may well be a rare special job. 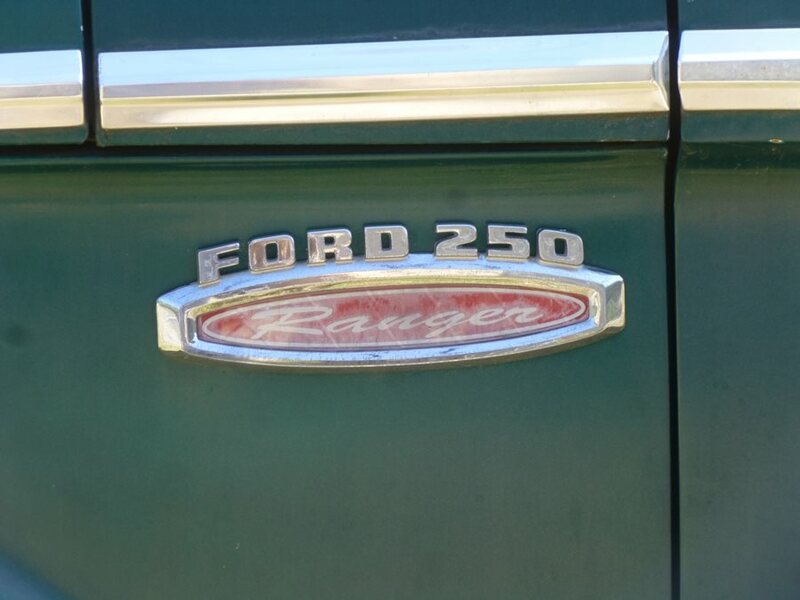 I doubt it’s a badging of a 250 on an F100; because putting that “Ranger” label in there would be too much work. And it’s got too much patina to be anything but era-correct. Who says it was done for profit, someone wanted a truck like that so they made it. I know a lot of people used to make their own Short bed 4×4 F250 Fords when they didn’t offer those from the factory. As far as the badges go there were a number of different inserts so you could mix and match between the different series. So I’m betting someone found the F100 Ranger and put the axles and possibly springs from an F250 in it and then swapped out the camper special or twin I beam inserts from the F100 badges. That should have said swapped out the inserts from the ones that were in the F100 badges. Here is another set of repo inserts. Yeah…but in the name of all that’s sacred, WHY? Nobody cared. Few care now. I mean, if someone wants bucket seats…that’s logical. But why play with the EMBLEMS? And do it on BOTH sides? It’s neither clever nor entertaining nor something 999 people out of a thousand would notice. It could have happened that way; but I doubt it. Because that is what the guy that built it wanted. It is his truck so might as well do what makes him happy, who cares if anyone notices. I think it is more likely that it happened that it was built after if left the assembly line. Sure if the salesman new what to do you could order a lot of combinations that weren’t on the official list but there were some combos they just wouldn’t do. Ford didn’t have a short bed F250 frame in those years and I doubt they would strap the heavier axles on the light duty frame since they would have to warranty it and their reputation was on the line. Don’t want a few year old truck out there with a sway back since it was loaded well beyond the designed limit of the frame. I’m just saying that the odds of an owner with such a boring life that he has nothing else to worry about than the emblems on his truck…are pretty slim. I know nothing here. What I’m really endorsing is Occam’s Razor…the simplest explanation is the most likely. Which, as I read it, someone wanted a one-ton truck on a short bed with the Ranger seats. It’s even possible a second owner shortened the frame; or built up the truck on a shorter frame. Certainly someone could have shortened the frame because that is what they wanted to do. What is a better use of one’s time and money? Swapping axles, and badges or shortening a frame or spending the day on the golf course, watching a football or baseball game or the night at the bar. Only the individual can answer that question. > I’m just saying that the odds of an owner with such a boring life that he has nothing else to worry about than the emblems on his truck…are pretty slim. I have to say I’m offended by that remark. I had a special factory-appearing aircleaner decal made for one of my Chryslers with an accurate (for my car) non-standard engine displacement callout. And almost all people that restore or hot-rod their own vehicles do it because that’s what they want, not because it makes any kind of economic sense to do so. You just don’t “get it”. I don’t think the condescension is really necessary. The fact that he has 3 cars being worked on on the property makes him more interesting than anyone with a mundane enough existence where sports and drinking beer on the couch seems exciting. I added courtesy lights, a map light, a headlight buzzer, a power trunk release, a trunk light, and factory gauges to my classic car. Nobody cares that I did that except me, and its something that only the die hards would know I did that, otherwise it looks exactly like what it is, a tired old sedan. Love it!!! I think it’s a true 250 it has the eight lugs. No doubt the axles are from a 250 but that does not mean it left the factory with those axles. I’m guessing an F-250 Ranger that was rusted/mangled and/or had a blown engine donated the axles, interior, and emblems to a clean (but stripped) F-100 shortbed of the same vintage. Why? Well, the F-100 could have been real basic, with just a six and 3-on-the-tree, and the bench seat might have been shot, too. If this was the case, I can see it. OTOH, if the F-100 was in primo condition, even with entry level, farm work truck equipment, he should have left it as is and used the salvageable Ranger gear on a more deserving project. I’m going for the home made custom job. The incentive would be that he had all the parts in two or more vehicles and he put them together. Two more clues that I don’t see mentioned are the chrome gearshift lever that did not appear until the ’67 restyle, and the backup lamps that to the best of my recollection were not available until ’66. I do like the ’63 Futura V8 2 door sedan missing the rear axle. That would be a nice combination. Hmmm a real mystery, so much so that it would be worth knocking on a door and asking the guy about the details on the truck. I’m surprised we don’t have any 60s F-series experts on this site. My point is NO F-Series expert can know how this came to be, because it’s not stock (100% certain), and it could have come to be in several different ways. Given that the guy who has a shop there is a Ford fan (I’ve seen a number of the years back there), he probably knew exactly what he wanted to end up with, and had access to the parts to fulfill his dream. It has a pretty heavy tow hitch on back; he undoubtedly preferred the bigger axles, wheels, brakes(!) and tires that the F-250 axles (and possibly springs) brought to the equation. And most likely the same applies to the Ranger cab, but possibly it was an F-100 Ranger and he changed the badge accordingly, or…or…. The nicely polished aluminum slots says the guy definitely was willing to put int he time to get exactly what he wanted. Heck those slot mags could be the entire reason for the conversion. The 5 x 5.5″ slot mags are a lot harder to find than the 8 x 6.5″ in my experience. So to put those wheels on the fancy truck meant the need for the 8 lug axles. 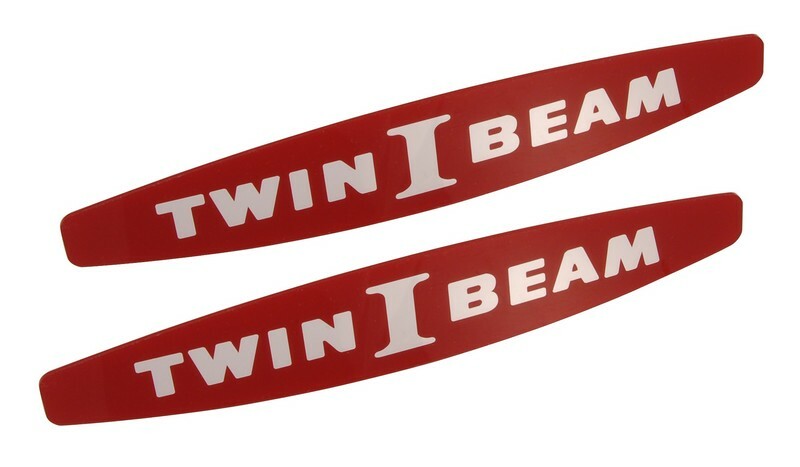 From their it was only a few minutes extra work to make those F250 Ranger badges from the F250 twin I beam ones on the donor truck and the F100 Ranger that were on the truck. Of course wanting the bigger brakes if he uses it for serious towing is highly likely. Oh wait you have a yellow 60 something F-series right Paul? Sorry about that, I think of you as a Mercedes guy first and foremost 😉 Also I’m not a truck guy so don’t notice/remember much truck stuff. But I may be starting a country project soon and if I do I will need an old work truck. So want to learn more about 60s and 70s Chevys and Fords. Please go ask that guy. I had no idea about a Ranger package with Mustang bucket seats and the console. I just love that kind of stuff. Actually one of my favorite Wheeler/Dealer episodes was when they did that Chevy (or was it a GMC) 60s truck. Or was it a 50s? The reality is if you just need an occasional use truck, and aren’t going to use it for towing or hauling a heavy load a late 80’s F150 with the EFI 300 and automatic is the way to go. The 300 and C6 is a durable of a power train as you can get and the power disc brakes, power steering and EFI makes it an easy drive and it will fire right up after sitting for weeks or months at a time. If you are going to be hauling or towing those heavy loads an EFI 351 C6 powered F250 should be considered. I love my IH’s and have a few, but the fact is I have an 84 Ford mainly for the better modern disc brakes and easy availability of a 1 ton long bed crew cab. I rarely use the back seat for people it’s where I keep my tools out of the weather and locked up. Paul, do you watch Fast N’ Loud on the discovery channel? They picked up a Sweptline and are going to be building it over the next few episodes. Should be pretty cool. No. I don’t have cable, and even if I did, I just don’t have time to watch tv. Too much to here as well as other things. Sounds like a fun project. I really like that truck, although I’d rather it be the F100 variety and be a bit easier to live with on the street. Hey Paul, we don’t have cable either. I don’t know how “normal” people have time to watch TV, real life is too interesting and busy. I do get to watch TV occasionally when on business trips, which confirms our decision to not get cable. Fast N’ Loud is aptly named, as it describes the way the guy talks quite accurately. If we ever get the Curbside Classic Network I may have to reconsider..
For all we know it may still have the F100 springs for the soft ride but with the F250 axles it will have better stopping power. That show is pure hackage. Their best work is their flips, which pretty much ends at replacing dry rotted rubber and charging the battery. Their builds are a joke, including that butchered Ferrari F40 they recently finished. I know. Just by coincidence Paul mentioned that Dodge and last week they featured them negotiating to buy one for $750. I don’t love the show but I like some of the cars they choose to buildup but I would never buy anything from them. Just something to watch on a Sunday night on demand. Saw the completed Dodge truck project, absolutely the best “build” to come out of that shop, at least that has been on the show. They only thing I may have done differently are the wheels. I had a fullsize GMC van and the doors were rotted out. I found a donor in the scrapyard but was a Chevy van. As with your Chevelle, completely interchangeable. One evening I got pulled over by the police. They ran my plate and it came up as a GMC but the nameplate on the rear door said Chevrolet. I hadn’t yet painted the doors, so it was obvious (to me at least) that they weren’t original to the vehicle. They were all excited because they thought they had caught somebody with a stolen vehicle and/or plates. One officer had me get out of the van and started asking me questions, then I heard another officer coming up the other side of the van say, “Hey, the fender says GMC on it.” I asked the first guy, “Did you pull me over because my back door said Chevy? !” He just stared at me. “I changed the doors!” Then he shouted to the other guy, “He changed the back doors!”, then to me, “The light over your license plate is pretty dim. You should get that looked at.” and they took off. Did you get chance for a close up shot of the Falcons? They’re behind the fence…pretty far back. I may go back. so, how do you like it? They seem kinda cool to me. Btw, I especially like the bright trim on the side of this Fseries; I don’t recall ever seeing it before. And the short bed looks great on a sports truck! This is essentially the proto-Lightening, 30 years before the fact! Well, as most folks here on CC know, I turned my V50 into a V50 Brougham. Brougham badging on the tailgate and instrument panel, chrome trim on the side moldings, extra chrome on the dash and door panels, and bright red pinstriping round out the changes. Why? Because I could! Nice truck! If ford didn’t build it they should have. Back in those days couldn’t you get anything you wanted? Last I saw it the guy wanted $50k for it. My original Ranger badge is black and peeling. For what appears to be an outside truck, emblem is in remarkably good condition. Follow up comment to my last… That emblem is fake. Some people get it some don’t. Mr Niedermeyer seams to think if you have more than one of the same parts they are junk. Some people actually do like working on old cars of different kinds.because you see a car without a rearend it doesn’t mean we are chop shops or trying to hide something. If Mr Niedermeyer would have come in and asked i would have been glad to tell him about my green truck. Thanks for the complements. For those who think I have no better time than enjoying something I like doing keep talking about other people’s cars you have no idea about and acting stupid. 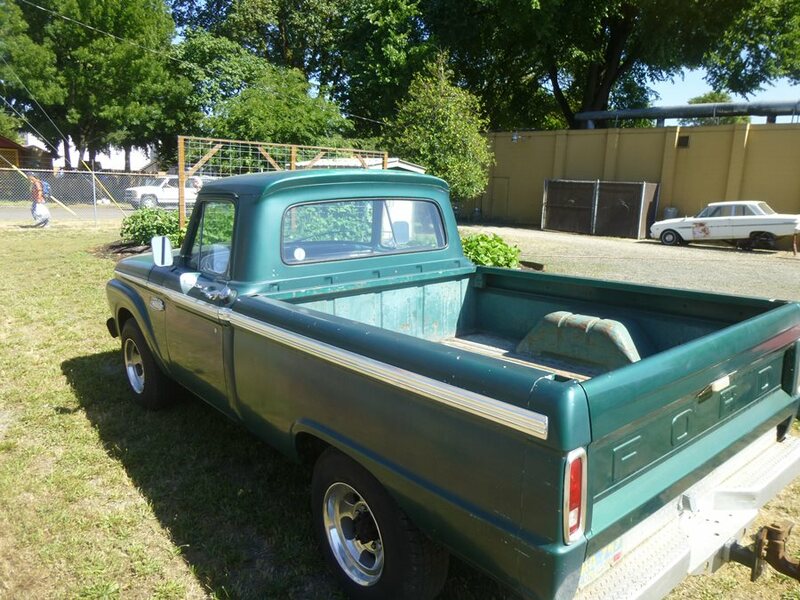 Or maybe try building a 1965 ford ranger and see what it takes. Never mind you probably have a golf game, you know where you hit a ball then go chase it then hit it again and go chase it. Sounds like my dog. Why so touchy (and grouchy)? We paid a lot of attention to your nice truck, speculating how it came together. And you won’t even tell us now?